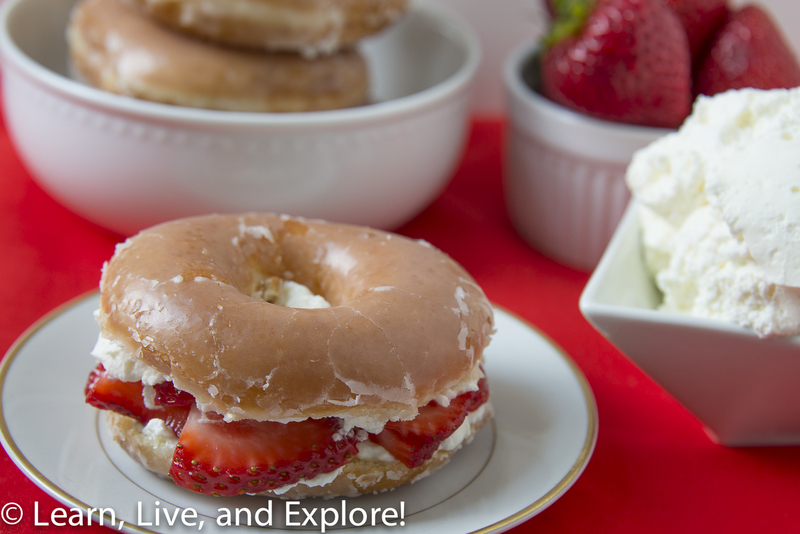 Glazed Donut Strawberry Shortcakes ~ Learn, Live, and Explore! There...that's a recipe right? You can guess what ingredients I am referring to in those five sentences? Here is one of my tips for these glazed donut strawberry shortcakes: eat something very savory before. Don't lick the whipped cream spoon or spatula. Don't even eat a slice of strawberry. The glazed donut is going to make your sweet meter go off the charts. Also, consider the alternative of slicing the donut into small chunks and making a parfait. They are pretty darn messy!